Newleaze House in Filton - the former sheltered accommodation - could be replaced with a mix of 16 homes and flats. Residents in Filton have been looking at Merlin Housing Society’s plans for the development of the site in Roycroft Road. Around 40 people came along to the public consultation at Newleaze House to view the plans before the housing association submits its planning application. The plans include 6 two bed houses, 4 three bed houses and 6 one and two bedroom flats which will be offered at a mix of social rent, market rent and shared ownership. Merlin’s Development Manager Peter Crouch said: “The site provides us with a fantastic opportunity to develop much needed and affordable family homes in Filton. We’ve tried to reflect current and future demand for housing in the area”. “We held this event as an opportunity to find out what local people think of the proposals. Most of the comments we received were in favour of the development. We had a few minor objections, which we will address before we submit a formal planning application. 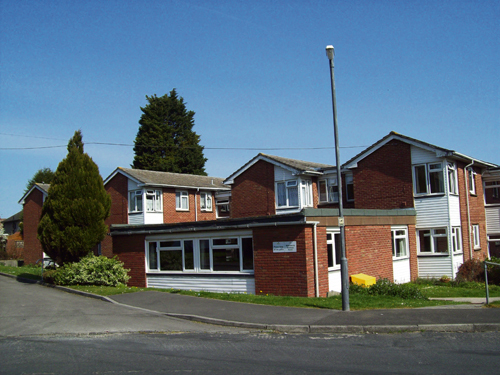 Previously used as older people’s housing, Newleaze House was deemed not fit for this purpose back in 2010, based on the size and accessibility of the bedsits it housed. Merlin helped move the existing residents out of the building earlier this year, some of whom went to its brand new retirement development in Bradley Stoke, Bluebell Gardens. The society initially looked the idea of using Newleaze House for student accommodation, but after consulting with the local community, it became clear redevelopment was a more viable option. People will also have a chance to have their say through South Gloucestershire Council’s formal planning process.